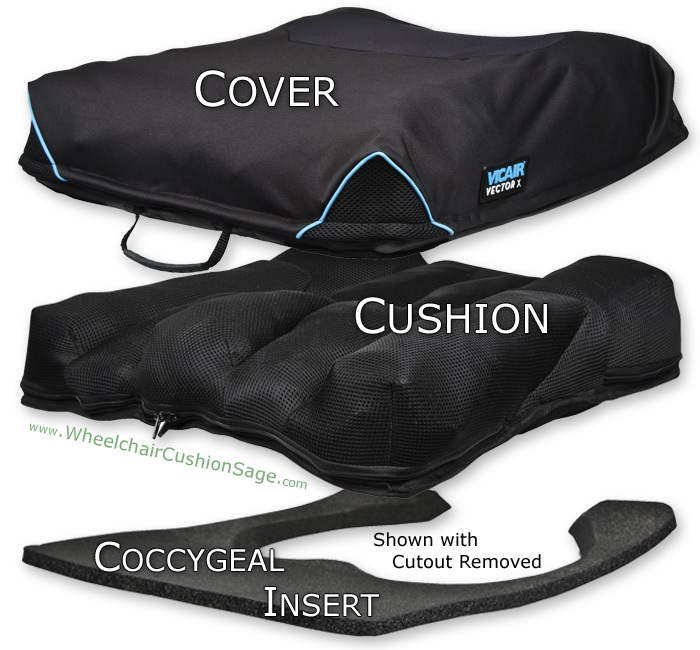 The Vicair Vector X wheelchair cushion (see larger picture below) can generally be categorized as an air cushion due to its weight bearing air-filled cells. The manufacturer of this product, Vicair (in the USA - The Comfort Company is the source) specifies this cushion as follows. Vicair's Vector X consists of a pre-contoured array of 10 individually adjustable chambers. Each chamber contains a user-changable quantity of permanently sealed tetrahedron-shaped air cells. Vicair accomplishes the weight bearing function differently than other manufacturers of air cushions. The Vicair Vector X employs many small permanently sealed air filled cells, rather than larger valved air cells. Each of the many small Vicair air cells is shaped like a tetrahedron (a volume enclosed by four sides). 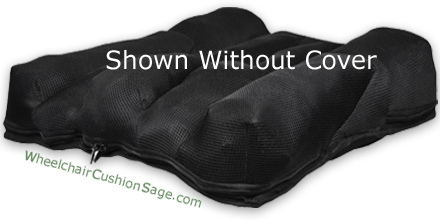 The feel of the cushion can be adjusted by unzipping the liner and removing or adding an appropriate number of air cells. A pack of 50 extra air cells may be purchased with the cushion (refer to the cushion options above). The Vector X's many-cell structure eliminates the leak-related catastrophic failure mode associated with other types of air cushions. 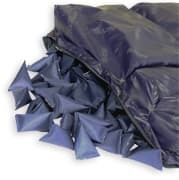 The tetrahedron-shaped cell structure also slightly increases the user's seating stability as compared to typical valved-types of passive air cushions. NOTE: Vicair Vector X cushions are made-to-order. The manufacturing process typically takes 4 business days. For example, if the "Fast" shipping method is selected for a Vicair Vector X, the actual transit time will indeed be fast (1-2 business days), but your cushion may be delayed by 4 business days before leaving the facility. Please consider these manufacturing times when selecting the shipping speed for Vicair cushions.